Home Project Management How To Create Useful Wireframes For Mobile and Web applications? The skeleton of a project, wireframing is the most effective practice till date. A wireframe is a visual representation of elements in any application using simple shapes. It allows the team to deal with crucial questions on navigation, layout and content priority. This blog explains everything that improves your wireframing quality. Why should you do Wireframing? Saves Time: Wireframes lets you spot any potential issues in the structure and flow of application before spending hours in developing it. It is much easier to change a wireframe than to change a final mockup. Helps to define the priorities of the application: It encourages to think about the content which you need to place on a particular page. Helps to get the best outcome: You can experiment with the wireframe layout structure, a flow to come up with the best solution for designing and development. Some general elements when you plan every webpage are header, footer, sidebar and content areas. Then, think of what other additional elements can be placed in a wireframe such as navigation bars, widgets, and buttons. Once you figure out the complete idea of the elements, you can now start creating your wireframe. All elements in the wireframe are usually displayed, organized and sketched out keeping the following points in consideration. What exact content do you need to display on this page? How will you put the elements of this page together? What will be the positioning, labeling, and size of each element? How will these elements work? Where does user navigate on choosing a particular element? Wireframe should not include any designed element, as this distracts the purpose of a wireframe. Instead, it should be created without the use of color, graphs or typography. Wireframes should not have any Dummy text rather real text should be used for clarity. The final look of the page should not be defined in Wireframes. It should show the navigation and functionality of the website i.e. how the site will work, not how the site will look like. Below is the list of 5 simple steps that can be followed for the wireframing process. These steps are very useful to create a wireframe. A content inventory needs to be created at first, which is like collecting all your materials and organizing it before building. Content inventories are spreadsheets or graph where you can list out all the contents on the basis of pages that you want to include. The content inventory helps in maintaining the content that requires being there in the design and encourages thinking about most important elements that need to be present in a page. The best way to make a good content inventory is to follow a short process. Do not require any redundancies scanning or removal of content. All the pages and categories can be divided into small sections and each section can be assigned to a team of people. Now the next step is “Visual Hierarchy”. After having a content inventory listing with all the elements, it becomes easier to determine which is the most important element in a page is. You need to label each item in your spreadsheet as a primary, secondary or tertiary element in the spreadsheet. It defines the first version of your wireframe with blocks of content. In “Content wireframe” you only need to care about where content goes, not how it’s presented. Wireframes and designs work best with the mobile-first approach. When the wireframe is done for the smallest device screen first, you can prioritize only the essentials, and then add more elements as you continue further. The alternative way is to design all elements at once, and then subtracting, which can be a wastage of time. Once a general layout is created, you can keep adding more details to it. Content blocks are like chunks of marble. In this step i.e. Sculpted Wireframe, you need to sculpt them into recognizable pieces. This means showing the navigation or designating where individual links and icons go, setting space for images, and deciding their sizes. Placeholders, boxes, and buttons are the major elements in any detailed wireframe. Also, you need to have user flows, as they help you optimize the placement of elements. And you can start incorporating scanning patterns and more accurately defining your visual hierarchy. Turning your wireframe into a lo-fi prototype is highly essential so that you can have a complete review and add features if any of it is missing. You can easily add interactivity, sometimes even just dragging and dropping to create a perfect wireframe. 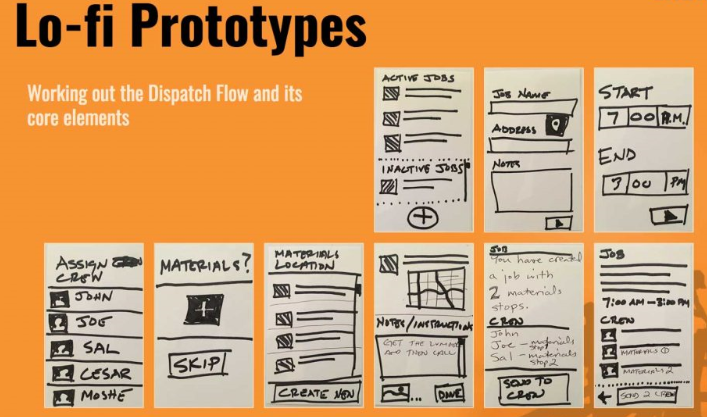 You need to use the lo-fi prototype to refine foundation of your project and when a basic prototype is created then you can move to the visual design phase. Below you can find some of the best wireframing tools that can help you in creating a great wireframe. Pencil Project, a quick wireframing tool that focuses mainly on GUI prototype and diagram. It is a free tool available for Windows, Linux as well as Mac OS. It supports sketching just like Balsamiq. You can create your own connection by editing existing wireframing or creating a new one. Also, you can create links for each graphic elements in your diagram. It is more than just creating diagrams, it can be a good help to confirm UI at a later stage for building operation program and website model. 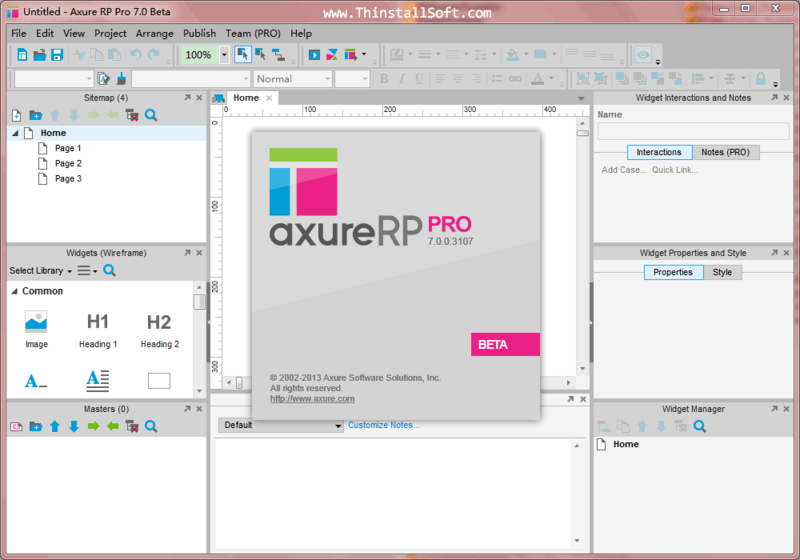 Axure, a wireframing tool with the robust feature. It is one of the best tools to create a perfect wireframe as it has all level solution starting from intermediate to advanced level. It has features like sitemaps and widgets. You can include conditional flows, animation, dynamic content, and more in your wireframe. It is available both on Mac OS and windows. You can create HTML mockups for both website and mobile application and the built-in share functionality helps you to view the application design on your phone. Invision, an easy to learn tool for wireframe creation. You can convert the static mobile and web application designs into interactive and clickable wireframes. Also, You can create a clickable link that can be shared with different users. You can upload the image from local, Dropbox, Google drive or box. Moqups, a tool to create sitemaps, flowcharts, storyboards and building a functional prototype. It has cloud-based storage, real-time feedback features, and unlimited users under a single monthly subscription. Therefore, it makes easy for smaller agencies to formalize their wireframing process. You can have a trial version of 7 days before subscribing the application. The tool is the best suit for website mockups. 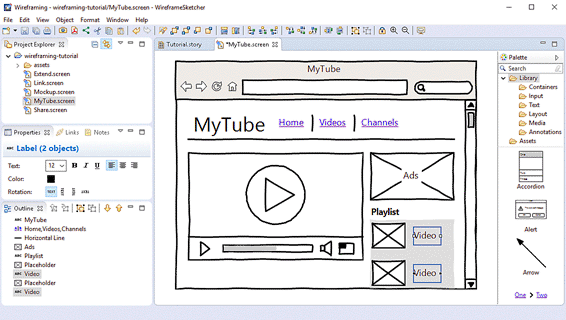 Balsamiq, the best tool for creating the low-fidelity wireframe. It is available both as a web application and a desktop software for Windows and Mac OS. The application has a great solution for agencies and freelancer to create stories with their mockup instead of focusing in detail on the complete functionality of the application. You have the ability to collaborate with team members to share the final thoughts for feedback. This application is more focused on website mockup and you can export the files in PDF, .PNG or clipboard elements. You can take a trial of 7 days before subscribing the tool. Mockplus, a simple and clean application. This is also a great application for beginners. This tool focuses mainly on designing so the users can sketch out their thoughts in simple designs instead of spending their time in learning about how to handle the application. It’s a quick application tool that helps in creating an interactive wireframe and prototype in less time. The tool has more than 200 components, templates, and samples and provides massive resource accessibility. It supports export of the sketches directly in MP file. No coding, no training, and no parameters required, just with a simple drag and drop one can create a complete user-friendly wireframe. This tool also has the features like page linking and component interaction. Also, has an auto-recovery feature. You can use this tool in any platform may it be in mobile, web or desktop version. Wireframe.cc, an online wireframe tool having a simple interface to quickly sketch out wireframe. It is the best wireframe for beginners and has minimal tool and icon of a typical drawing application. It has the most basic feature with 3 designing pattern i.e. web, mobile landscape, and portrait mode. The best thing is you can start working on it even without creating an account. The above are few of the tools that can help you create perfect and quick wireframes. Each of these tools has their own unique features and icons and are all in demand. Above, I have shared the tools that I experienced as suitable and best one to work upon but there are still many more tools available in which you can work upon apart from these tools. Overall, we need a tool where we can sketch out our thought for an application so as to make it easy for further steps of a project. We just need to pick the tool that best suits your need to create a perfect wireframe. In conclusion, just pick a tool and start presenting your thought. The more you apply wireframe the more you get expert in it. Hope, this blog will help and encourage you to create a perfect wireframe. Keep wireframing, Keep innovating ideas and yes don’t forget to comment, like and share it. I will connect again with more ideas and blogs. thank you! Working as Business Analyst in Loginworks Softwares.